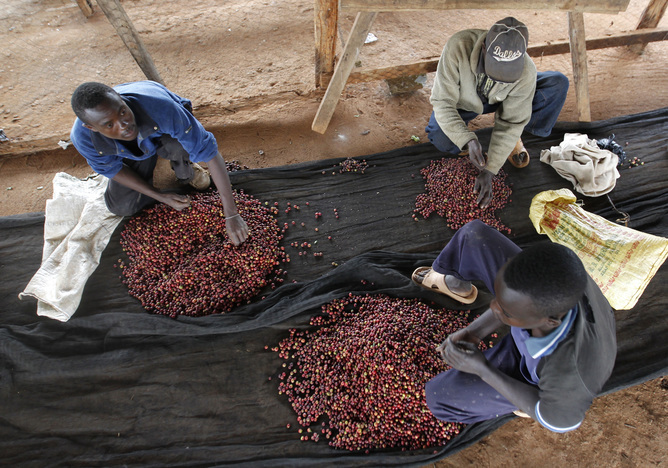 We have known for some time that coffee is a climate-sensitive crop. Now we have the first global evidence that increasing minimum, or night-time, temperatures are having the hardest impact on your daily brew. A warmer world with soaring day time temperatures has been linked to the decline of many plant and animal species. Unless climate change can be mitigated, or farmers can find ways to adapt, the future for many crops including coffee looks bleak. Coffea arabica and Coffea robusta are the most popular forms of coffee in the world. Due to the quality, arabica achieves a much higher price premium. 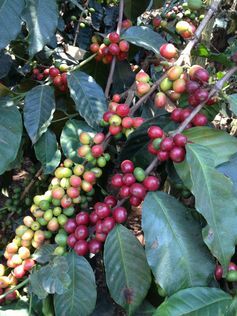 Coffea arabica, which accounts for most of the world’s production, is grown throughout the highland tropics of Africa, typically between 1000 and 2300 metres above sea level. Most is grown in Tanzania, Kenya and Ethiopia. In the past, heat and drought stress were typically noted as the major constraints that affected coffee production. Now it appears that steadily increasing night-time temperatures are actually having the greatest impact. The crop is comfortable in a marginal temperature bracket ranging between 18 to 21°C. Outside of this temperature bracket the plant’s metabolic processes begin to change. This subsequently has a negative impact on yield and quality. Every 1°C rise in minimum temperature will result in annual yield losses of approximately 137 kg per hectare. This is roughly 60% of the average smallholder farmer’s current production in Tanzania, on which our study is based. Tanzania was used as a reference because it has many valuable climate and yield datasets which are often not recorded or are subsequently lost. It is also similar to many other African nations in terms of its coffee production. Coffee is Tanzania’s most important export crop, generating average export earnings in the order of $100 million per annum. Grown predominantly by smallholder farmers, coffee is usually inter-cropped with other subsistence crops like beans, maize and bananas. Yields are currently 50% lower than they were in 1960. If we project this into the future, without substantial adaptation strategies, coffee production could drop to critical levels in Tanzania. Naturally, the decline in yields is not solely due to minimum temperature increases. All aspects of climate change variables play a role but rising minimum temperatures certainly have the greatest influence. Land availability, lack of resources, overpopulation and the sensitivity of arabica make coffee growing in the tropics a fickle business. As temperatures increase, producers within the growing band of 1000 to 1300 metres above sea level in many areas of the globe are struggling to manage sufficient quality and yields. Even farmers at 1500 metres above sea level, such as those on Mt. Kilimanjaro are becoming marginal. Moving higher upslope in pursuit of cooler temperatures is rarely feasible. Despite the fact that most highland areas are already overpopulated and that most of these regions are encroaching on protected forests, it’s not feasible for farmers to just pick up and move on. While most governments have invested heavily in the coffee industry, few have implemented adaptation strategies to help farmers cope with changing conditions. Shade-grown coffee is a common agro-forestry practice with benefits for ecosystems and biodiversity, as shade trees provide a habitat for native birds, insects and wildlife. Shade-grown coffee also benefits the farmer through crop protection and diversity, strengthening their livelihoods. Managed effectively shade grown coffee could positively influence coffee production. But the right type of shade for coffee needs to be chosen. Strategic shading is needed, such as selecting trees that provide a high enough canopy to help reduce the daytime maximum temperatures while allowing the night-time terrestrial radiation to escape back through the atmosphere. Other adaptation strategies such as breeding coffee that is less susceptible to climate change is an ongoing process. But this could take several decades. More extreme measures such as switching to a hardier species of coffee, such as the lower quality Robusta, or moving in altitude or latitude do not pose attractive options either. It’s not just the Tanzanian highlands at risk. Attention should also be drawn to the arabica growing regions of Brazil, Colombia, Costa Rica, Ethiopia and Kenya. Evidence shows these areas have followed strikingly similar minimum temperature trends. The coffee in each region exists within its own unique niche. In order to be effective, site-specific adaptation strategies need to be implemented. Hopefully these hard numbers encourage the public and private-sectors to invest in climate change adaptation strategies that will better sustain this important industry and the livelihoods of millions of smallholder farmers who depend on it. Alessandro Craparo is International Institute of Tropical Agriculture Research Fellow at University of the Witwatersrand.